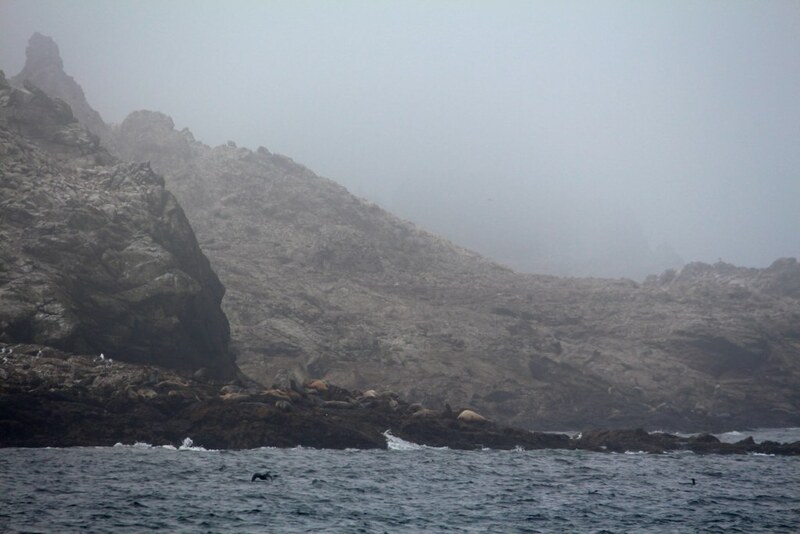 The Farallon Islands are a National Wildlife Refuge and it was awesome to see a ridiculous amount of wild California sea lions, northern elephant seals, and tons of birds in their natural habitat. 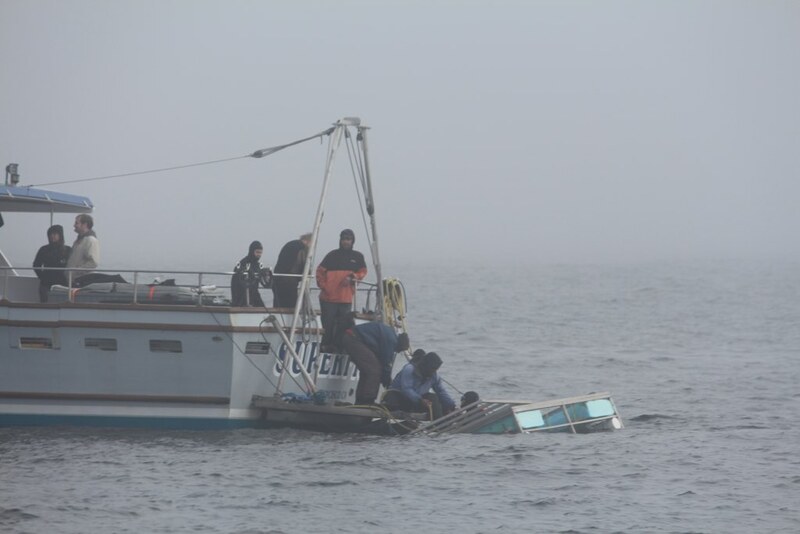 There were some people in another boat that were getting in a cage to swim with the great white sharks (we didn’t see any, but they apparently were around). We had to go out even farther to see some whales. It took a while, but we finally found some humpback whales! 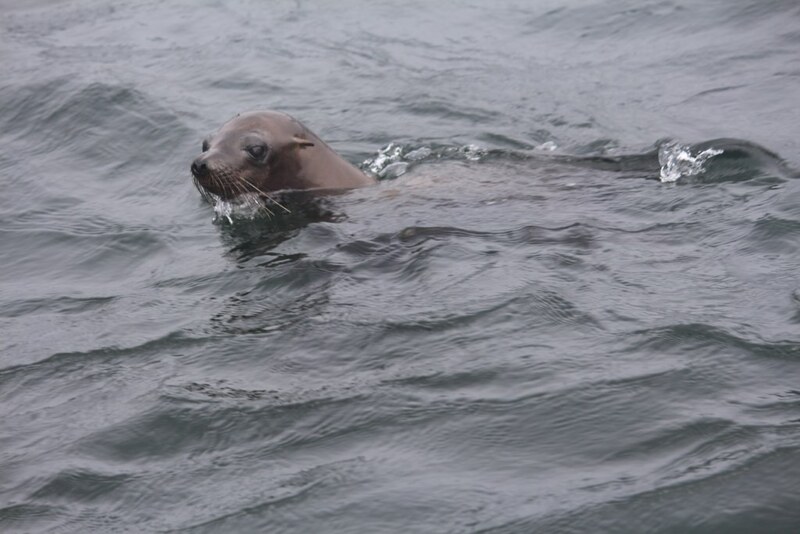 There was a juvenile California sea lion that kept swimming around our boat. I kept getting worried that he would help the great white sharks find our boat, but it all turned out ok (for now). 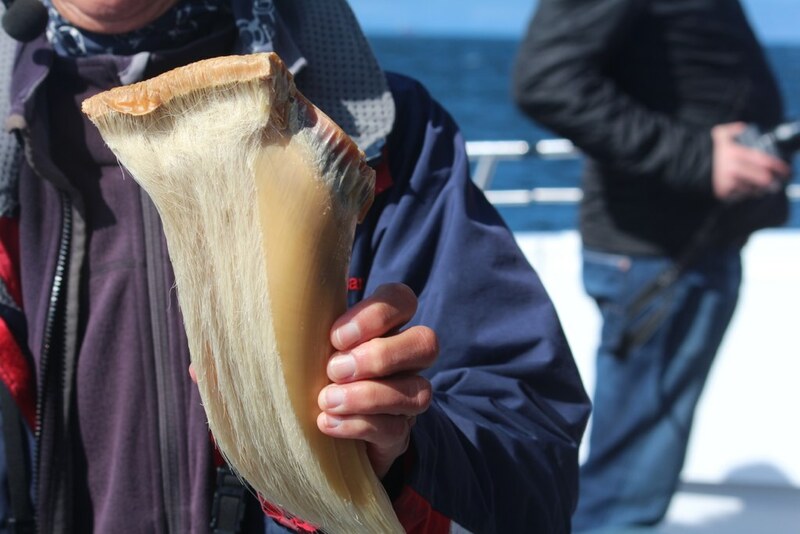 Back on the boat, our tour guide showed us some samples of baleen from some whales so we got a close up look at their amazing filtering system. On the way back to San Francisco, the fog had cleared and we got some great views of the city. The rest of my pictures from our whale watching adventure are on flickr.